Looking for... Las Vegas Singles Events, Las Vegas Singles Dances, Las Vegas Speed Dating, Las Vegas Singles Groups, Las Vegas Singles Activities, Las Vegas Singles Resources, Las Vegas Singles Networking Opportunities, Singles Dining Clubs, Events for Christian Singles, Jewish Singles and Mature Singles in Las Vegas, Las Vegas Singles Parties, Opportunities to Meet Singles, Find Clubs and Dating Sites, Social Events for Singles in Las Vegas, Local Singles Dating Opportunities... Single Dating Sites... Single Women... 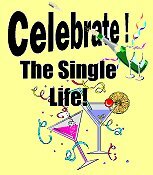 Single Men... and the Las Vegas Singles Dating Scene ... and are tired of Singles Bars and are looking for nightlife in Las Vegas... well, you’ve come to the right place. Whether you're a Single Woman or Single Man this is your gateway to Singles Events and Activities in Las Vegas. It doesn't matter if you're looking for Speed Dating in Las Vegas, or just plain old fashioned Singles Dining - Singles Dance or Singles Social Events... this is the place to come. You might even find organizations for Christian Singles, Jewish Singles, and Mature Singles... as well as Networking Opportunities... and a whole lot more. Isn't it about time you got out of the house and lived it up a little?... here's your chance! Fab Singles - A Social group where Singles meet other Singles for friendship. They offer a variety of events such as cocktails, dinners, single's games, miniature golf, laser tag, pool (both swimming & 8 ball), happy hours, pottery painting, etc. Las Vegas 40's + Singles - They provide the opportunity to meet other single people of the same age group in a safe environment to have fun, meet new faces and hang out with each other. VegasHikers - Though not strictly for Singles, this group offers hikes for all skill levels, road trips, camping, and social gatherings. They have events at a huge variety of times, places, and days. Drinking with Strangers - Las Vegas - Though not strictly for Singles, this group offers events where friendly people can come out and enjoy good company with other easy-going, receptive people for drinks, eats, socializing, and making new friends. Las Vegas Tall Club - A social organization, not strictly for singles that organizes events where 'lofty' members can meet and socialize with other tall people.